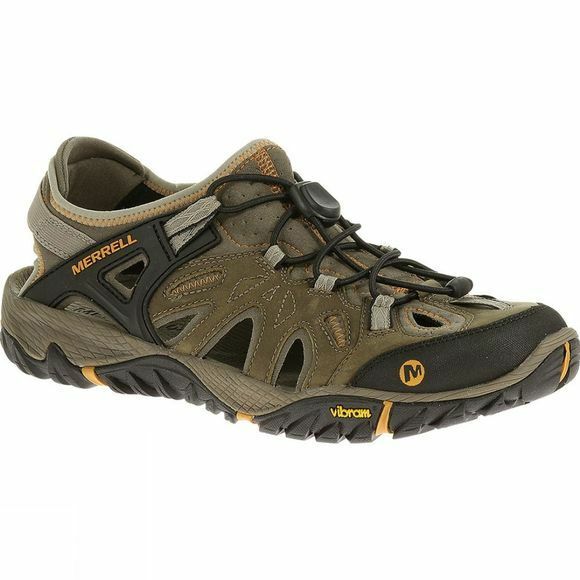 The Men’s All Out Blaze Sieve Sandal is a comfortable and versatile closed toe sandal from Merrell. Whether you are roaming over golden sand dunes on holiday or trekking through the forest on a National Park getaway for the weekend, these sandals have the performance you need. They feature a responsive trail platform that flexes naturally and provides support for your feet so that you can explore in comfort wherever your adventures take you. Not only do these sandals provide comfort but also have M-Select odour technology keeping your sandals smelling fresher for longer. The All-Out Blaze Sieve Sandals also are packed with Merrels latest technology such as a UniFly Midsole to provide shock resilience while hiking rough terrain. 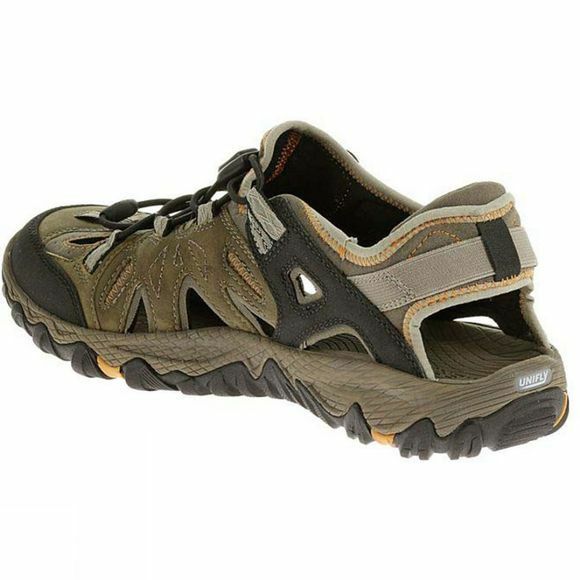 No surface is too rough for these hiking sandals which take the prize for rugged comfort and versatility. Not the right pair for you? Check out the rest of our range of walking sandals for your next adventure.